Hagen Betzwieser (Stuttgart, Germany) and Sue Corke (London, UK) met by chance in 2008 at a bus stop whilst conducting artistic field work at NKD, the Nordic Artists’ Centre in Dale/Norway. Sue Corke is a visual artist with an interest in the theatre of illustration. Hagen Betzwieser’s artistic practice with The Institute of General Theory is exploring the gaps and connections between art and science through post artistic research. Back in 2005/2007, as a design fellow working on his long term project – the Institut für Allgemeine Theorie – here at Akademie Schloss Solitude, one of Hagen’s research projects focused on how the the Universe smells, starting with the premise that knowledge gets less and less verifiable the further we move from earth. Assuming that we have access to the highest resolution of familiar smells on our own planet, this experienceable knowledge diminishes very quickly as we move out into the universe. If one decodes the composition of astronomical objects using scientific procedures, it should be possible to reproduce the approximate smell of other worlds from terrestrial substances. How it smells on Mars, Venus, Saturn, and Pluto respectively, or if the outer areas of the Milky Way smell like pine – to fill all this with content remains a challenge to our powers of imagination. Since Solitude, working for the last seven years on We Colonised the Moon, Hagen and his collaborator Sue Corke have produced a catalogue of graphic art and installation projects embodying a range of DIY production techniques within a partnership rooted in absurdism, characterised by slogans and catchphrases. Coming from different backgrounds – Sue, printmaking and illustration, Hagen, installation, video and conceptual art – it did seem an initially unlikely proposition. But accidents happen in art as in life. After literally bumping into each other at an isolated bus stop in Norway, the duo were forced into conversation. Deciding they had little in common, they then discovered they would be studio neighbours. Further discussions ensued and gradually they found common ground in humour and a quirky newfangled approach to art and science. Together they now seek to demonstrate that the future may indeed be frightening, but also highly entertaining. Recent projects have included creating solutions for space waste by disguising satellites as asteroids; building a solar powered solarium because »the sun dies anway« and synthesising the smell of the moon. Synthesising the smell of the moon has in fact become one of their famous achievements. All we really know about the smell of the moon is learned from a handful of remarks by Apollo astronauts. After their experience of walking on its surface they described what we infer to be the reaction of lunar dust with the oxygenated atmosphere of the EVA landing module. No one can smell the moon directly of course. The vacuum in space prohibits this. But using this information and other evidence gathered from NASA archives, Sue and Hagen determined the identity of the smell they had decided to reproduce and identified a chemist and aroma expert, Steve Pearce, with an interest in the subject, and a strong commercial record in producing scents and tastes for the food and pharmaceutical industries, who would go on to create for them an exclusive olfactory recipe. This unique scent, subsequently validated by Buzz Aldrin, then became the essential ingredient in a series of works by We Colonised The Moon. The first of their projects began when they were approached by curator Caro Verbeek from the Stedelijk Museum in Amsterdam. She commissioned them to make a work for the event Do It Smell It on olfactory art in 2010. They designed a scratch and sniff postcard from the moon, a momento from a place most people will never go, a fictional memory. Then in 2011, a further commission from The Arts Catalyst and FACT Liverpool led to the creation of a new installation for the exhibition Republic of the Moon. Visitors could enter at own risk a film­set like a test chamber. Periodically an astronaut resprayed an array of authentic fake moon rocks with the synthesised lunar aroma. The longer they stayed in the chamber the more pollinated the people became, and as they departed the smell travelled with them out into the city. 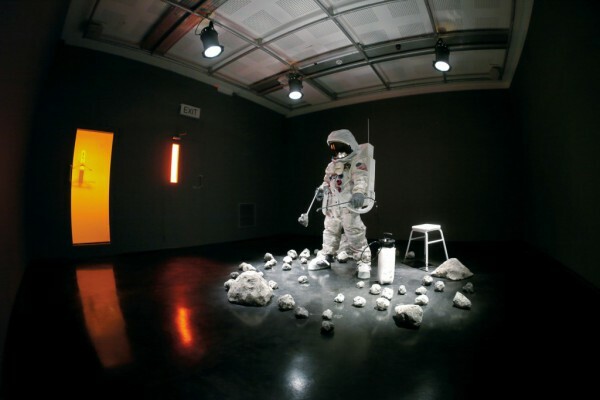 Following on from the success of these projects, the artists developed a special technique to communicate with still larger audiences the experience of a live moon smelling based on the concept of micro­encapsulation used to create the original scratch and sniff prints. Their synthesised scent is impregnated into large numbers of helium filled balloons handed out to audiences who are invited to pop the balloons, synchronously releasing the smell of the moon in a dramatic but controlled olfactory explosion. »Very large« moon smellings have been conducted in London, Weimar, Dresden, Mexico City, and Hong Kong, at international art festivals and exhibition openings, and now, for Summer fest, the 25th anniversary of Akademie Schloss Solitude and Hagen’s 10th anniversary as fellow, We Colonised The Moon are delighted to present LIVE Moon Smelling #10. 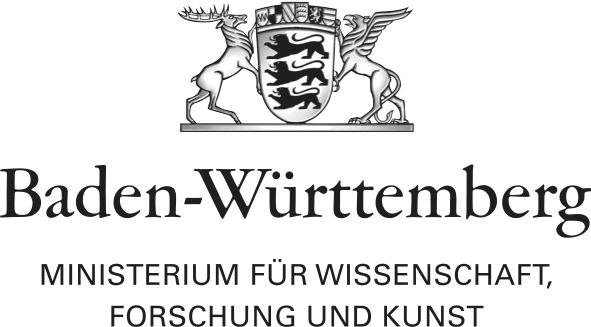 Hagen Betzwieser‘s artistic practice as The Institute of General Theory is exploring the gaps and connections between art and science through post artistic research. He was a fellow of the Akademie in 2005/2007 and has since then been realizing many projects which mostly focused on nature, science and astronomy. His installations and video works have been exhibited internationally.